We interrupt your regularly scheduled randomness for some Star Trek geekiness! I added Star Trek.com on Facebook a while back. While I don’t really use Facebook much, except to keep in contact with a few friends, I thought it would be cool to “Like” and follow one of my favorite series. While I like most of the Star Trek series (Voyager never sat right with me… Janeway needed a lot more oomph), my absolute favorite was Deep Space Nine. Seven seasons of glory… or allegory. Whichever you choose. But, it is still my favorite, regardless. Go ahead, click the link. Good. Sloan (played by Will Sadler) is one of my favorite guest star characters. He’s just a total badass fellow. And when you work for the Secret Service equivalent on Star Trek… well, you’d have to be badass. Coincidentally, earlier today, I was thinking to myself about the first episode that Sloan appears in. This whole thought process came about when I was telling myself that I needed to set the Xbox back up so that the Elephant and I could start watching DS9 from start to finish. The last series we watched from start to finish was LOST (which was amazing… until the last episode… but that’s a different rant for a different day), which he had chosen. It was my turn to choose a series (since I wasn’t really feeling BSG), so I chose DS9. 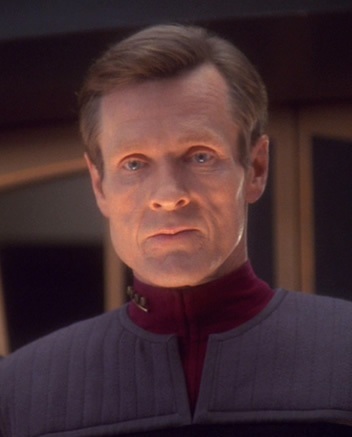 Anyway, Season 6 is probably my favorite season of the entire show, and I was contemplating some of my favorite episodes, like The Magnificent Ferengi (obviously, I mean, I would totally be a Ferengi if I were in the Star Trek universe), Profit and Lace (more Ferengi), In the Pale Moonlight, and Inquisition (featuring Sadler). But, for those Trekkies out there that like DS9, enjoy the interview! It was great (and included some Bill & Ted tidbits for those Nick kids like me)!